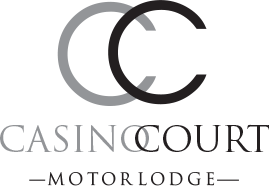 Casino Court Motor Lodge offers 12 stylish, well-appointed units (serviced daily) to cater for singles, couples, families or corporate travellers. 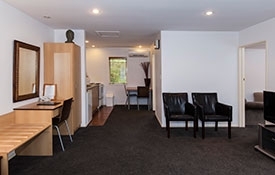 Casino Court is located at the city end of Papanui Road, a short walk to the boutique shops of Merivale and just up the road from 'The Mile Of Style' that is Victoria Street. 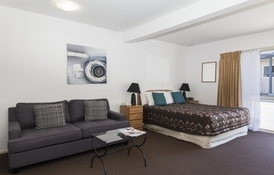 See us today for accommodation in Christchurch, New Zealand. 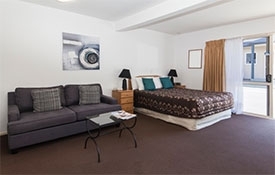 With excellent shopping in the immediate vicinity, together with a huge selection of restaurants and cafés, you are in the very centre of Christchurch's attractions. 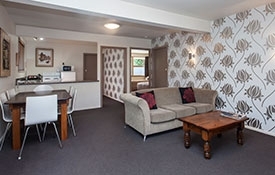 Your hosts, Matt and Reetah, will ensure you receive a warm welcome and have a comfortable, relaxing stay when visiting Christchurch. 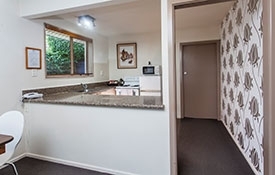 Bedroom and lounge combined in one space with cooking facilities and separate ensuite. Two studio units with a queen-size bed. 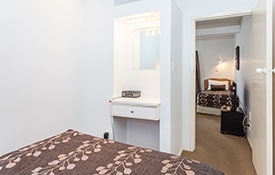 One studio unit with a queen-size bed and a single bed. Sleeps 1-3 persons. 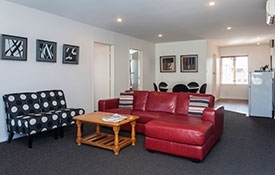 Separate lounge area with cooking facilities and ensuite. Two units with a queen-size bed in the bedroom. 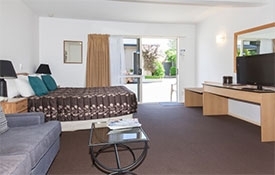 One unit with twin single beds in the bedroom and a queen-size bed in the lounge. 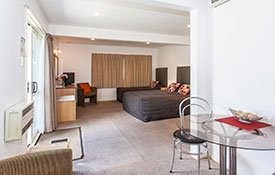 One unit with a queen-size bed and a single bed in the bedroom and a queen-size bed in the lounge. Sleeps 1-4 persons. 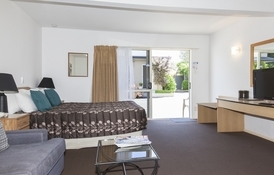 First unit with a queen-size bed and a single bed in bedroom 1 and a queen-size bed and two single beds in bedroom 2. 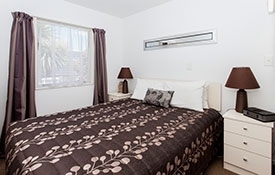 Second unit with a queen-size bed and a single bed in bedroom 1 and a queen-size bed and three single beds in bedroom 2. 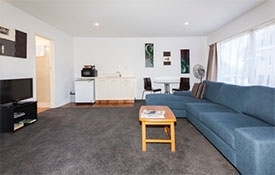 Both units are very spacious with lounge, dining area, full kitchen facilities and ensuite. Sleeps 1-7 persons. 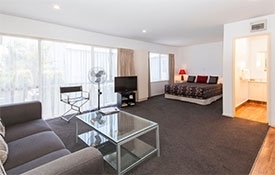 A studio unit with a separate kitchen and dining area, queen-size bed and ensuite with double corner spa bath. 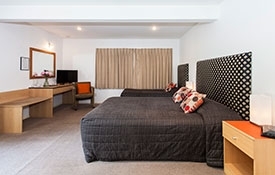 Sleeps 1-2 persons.